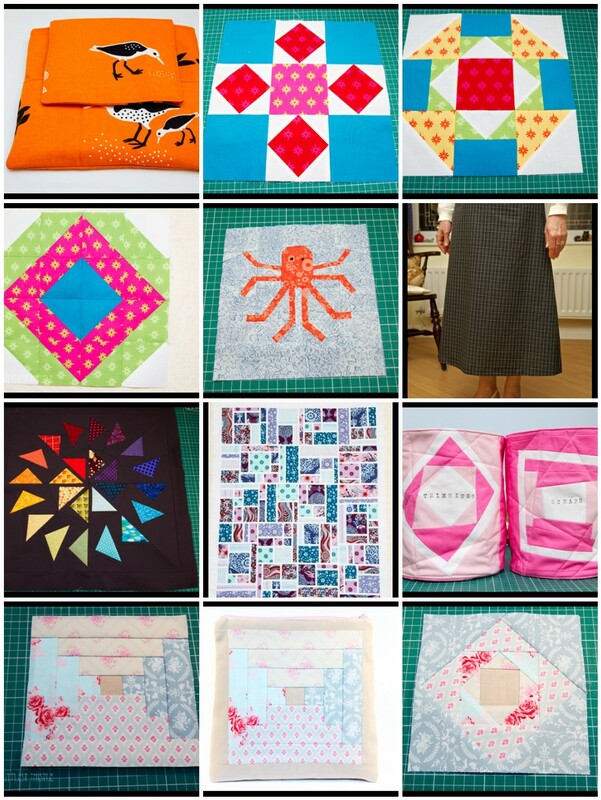 It’s the first day of a new month, which means it’s time to link up to Lynne over at Lily’s Quilts for her Fresh Sewing Day. Well it’s been a busy wee month for me, but I feel like I’ve had lots of starts and not so many finishes. Oh well, such is life! Do like your threads and scrap bins 🙂 Hope March is a fitter and healthier month for you too! The picture of the headless and footless mum still tickles me! Lovely makes K and hope March is a healthier one for you. Your awesome octopus is my favorite (although the flying geese is a close second)! You made some wonderful projects this month (not to mention a whole series!). You do better even when you're under the weather than I do on my best day so don't fret. It's always so impressive when you group the photos like this. All this and you were ill! Most impressive! Not to mention all the converts to paper piecing you have made 🙂 Getting into all sorts of tangles with my SH foundation pieced block tonight, should have stuck with the paper piecing!! Such beautiful pieces. I love the colors! That double decker pouch was a triumph! Not forgetting Ollie, pretty good month I'd say. 'starts' seem to be a more common accurance than 'finishes' over at my place 🙂 I love that octopus! i still can't believe that crazy octopus! you are amazing! I love how you have sone the colours in the flying geese block. Lovely makes and beautiful colours.